Ida Scudder, the Indian-born American woman, who took healthcare services to the masses and established the country’s first medical college for women a century ago, was fondly remembered by the people of Vellor. VELLORE: Ida Scudder, the Indian-born American woman, who took healthcare services to the masses and established the country’s first medical college for women a century ago, was fondly remembered by the people of Vellor on her 145th birth anniversary. Vellore is associated with the Christian Medical College Hospital, which the enterprising woman founded, braving all odds. Scudder was born in Ranipet on December 9, 1870, to the first batch of medical missionary parents from the United States to India. 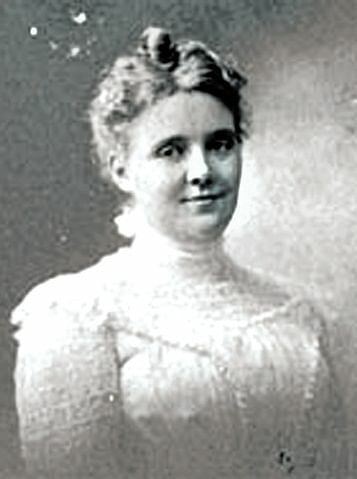 She studied in the United States later and returned to India when she was 17. Concerned over the lack of medical facility, especially for women, she studied medicine and went on to establish the first single-bedded hospital at Sainathapuram in Vellore in 1901, which has developed into the world class 2,700 bedded Christian Medical College hospital today, catering to over 8,000 outpatients. It all started with a modest venture by Scudder. In the book titled Our Heritage, Our Horizon and Our vision, the author, Professor S R Banerjee Jesudason, former head of the department of General Surgery at CMC, explains how she was motivated to train Indian women as doctors to share the burden of hospital services after World War I.
Scudder became the first woman in the world to establish the first medical school for women in the country during 1917 under the banner of Missionary Medical School for Women. The medical school was inaugurated by Lord Pentland in 1918 in a rented bungalow on Officers Line. She was initially discouraged by Colonel Bryson, the surgeon general of Madras Presidency, who told her that none would enrol. However, she managed to enrol 18 women out of the 141 applications received. While four women students dropped out, the first batch of 14 passed out to get the three year Licentiate Medical Practitioner (LMP) title. This continued till 1938 when the Madras Presidency asked the school to migrate to the MBBS stream of education. The first phase of the present hospital campus was built in 1923. In 1932, the then Madras governor George Stanley laid the foundation for the Christian Medical College on the Bagayam campus. The college rolled out its first batch of MBBS students in the year 1942. The rest became history. The postal department has released a special stamp collection to mark the special occasion. The hospital observed the Founder’s Day celebrations by honouring a group of retired employees of the institution. A special mass was also held at the hospital chapel on Wednesday morning.